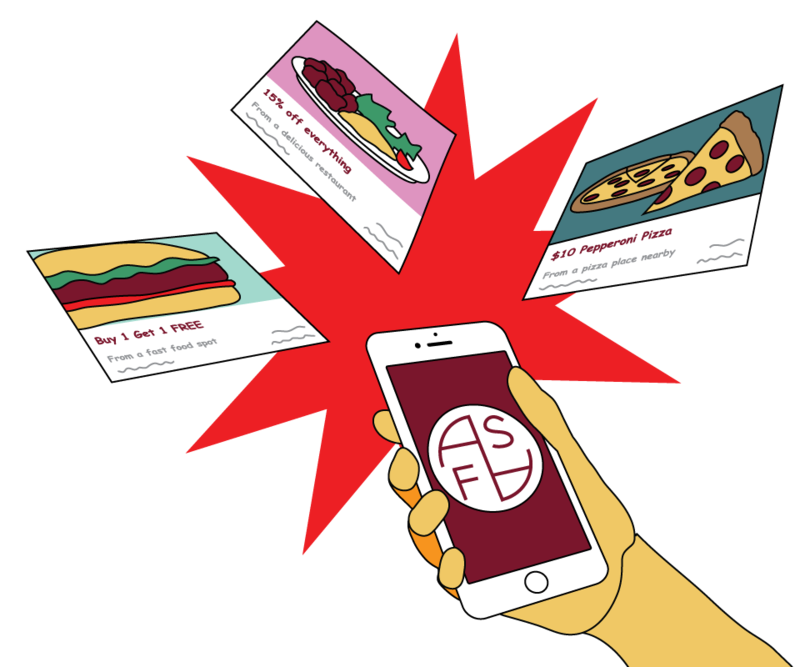 ASFA Deals app provides students with coupons for food around campus. Whether you are craving pork dumplings with a side of rice noodles, or a 12-inch Subway sandwich to refuel after class, buying food can be expensive on a student budget. The Arts and Science Federation of Associations (ASFA) created an application called ASFA Deals to provide Concordians and fellow Montrealers with daily coupons from a variety of restaurants near both campuses. ASFA’s External Affairs and Communications Coordinator, Fatima El Gahami, started looking into a potential phone application for students when she was running for her position in the association’s last elections. Once elected, she worked alongside ASFA’s Communications and External Affairs Committee to develop the app during the summer. It was important to El Gahami for deals to be available everywhere, especially at the Loyola campus because the majority of students there are arts and science students, and there is already a lack of food options. The committee teamed up with Restoply, a company that develops custom apps for restaurants. The app was completed in July as a pilot test and was officially released during this year’s Frosh week. The creation of the app did not cost ASFA anything. Restaurant owners make a profit in the form of clientele, and Restoply earns revenue whenever a coupon from the application is used. “There was an app with CASA [Commerce and Administration Students’ Association] Deals and I really liked the idea,” said El Gahami, when asked what inspired the app. “I wanted to bring this sense of unity between students, and [have] them recognize they are a part of ASFA,” said El Gahami. The coupons vary day to day, and change based on your location, explained El Gahami. She hopes the app will encourage students to become more involved with ASFA and student politics.